The EFF spent a considerable amount of time defending itself and Floyd Shivambu against allegations of involvement in the looting of VBS. JOHANNESBURG - The Economic Freedom Fighters (EFF) has accused Public Enterprises Minister Pravin Gordhan of being behind the VBS Mutual Bank allegations against the party and says its members are not scared of him. The party held a lengthy briefing on Tuesday afternoon where it criticised the Reserve Bank's report on the VBS scandal. It also defended its deputy Floyd Shivambu, saying neither him nor the party benefited from the looting of the bank. 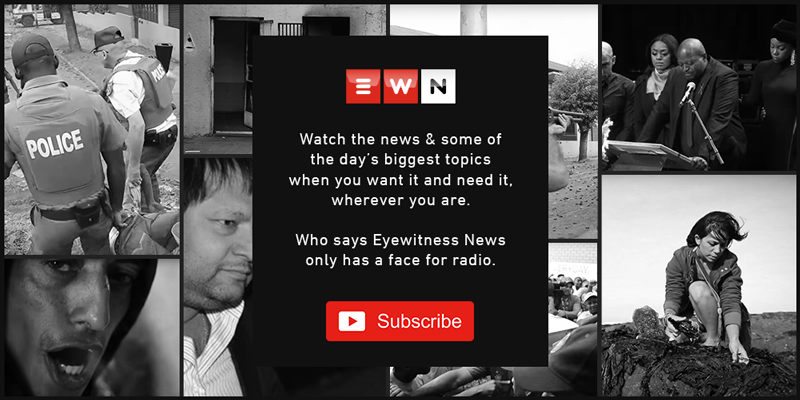 The report titled The Great Bank Heist revealed Shivambu's brother Brain, who is also an EFF member and former employee, received over R16 million in gratuitous payments. The EFF spent a considerable amount of time defending itself and Shivambu against allegations of involvement in the looting of VBS. But Julius Malema says his party knows who orchestrated all of this. He even warned the president against his minister. The media was not spared any attacks with Malema saying together with Gordhan, journalists are driving a campaign to discredit the EFF to ensure it loses out at the polls next year. Despite a public apology from the Sunday Times for its false reports on the so-called Sars rogue unit, Malema says he has information that the unit did and still does exist. The paper previously published stories that accused former Sars Commissioner Gordhan, his former Deputy Commissioner Ivan Pillay and former Sars group executive Johann van Loggerenberg of being involved in the alleged illegal unit with discredited reports that it ran a brothel and spied on former President Jacob Zuma. Aside from apologising, the paper has also announced it will return all the awards and prize money received for the stories which include articles on the so-called Cato Manor 'death squad' and Zimbabwean extraditions. The Sunday Times has admitted more than once now that it made mistakes and allowed itself to be manipulated by sources with ulterior motives when it reported stories such as the so-called Sars rogue unit. Even the Press Ombudsman previously ordered the paper to retract all the stories about the unit, saying the reports were inaccurate, misleading and unfair. But Malema says forget all that. So, what does this alleged rogue unit do? “The listen to the phones of the people illegally, the same way the Guptas did and they follow people,” Malema said. Malema has not provided evidence of this but he claims one of his former lawyers had a close relationship with the so-called rogue unit.